The original Port of Warrenpoint, consisting of a wet dock and piers, was constructed in the late 1770s by Roger Hall, Robert Ross and Isaac Corry with the assistance of £500 of public funds. In 1919 the heirs of Roger Hall sold the Port to John Kelly and Sons for the sum of £16,000. John Kelly continued to operate the Port until 1971 when it was sold to Warrenpoint Harbour Authority for £369,000. The Port was substantially enlarged with an initial total investment of approximately £6.7 million to create the modern port of Warrenpoint. Until 1971 the Port of Warrenpoint acted as a lightering port for the Port of Newry and jointly these ports handled approximately half a million tonnes of cargo annually. 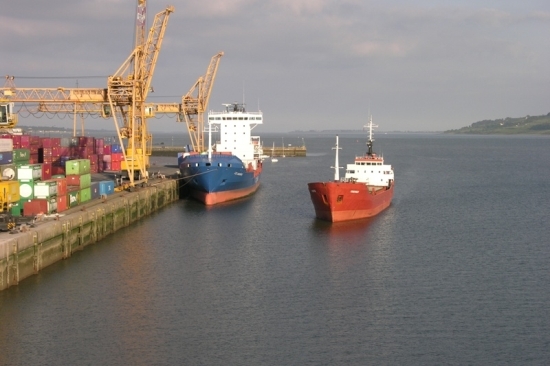 Subsequently the modern Port of Warrenpoint has handled 5 times as much cargo on an annual basis. Taking advantage of its favourable geographical position strong growth has recently been achieved in the importation of timber and steel and animal feed. In excess of 90% of the paper used for printing newspapers North and South of Ireland is imported through Warrenpoint Port. The port has a daily scheduled Ro/Ro service to Heysham on the Lancashire Coast together with a diverse range of scheduled services to continental Europe.